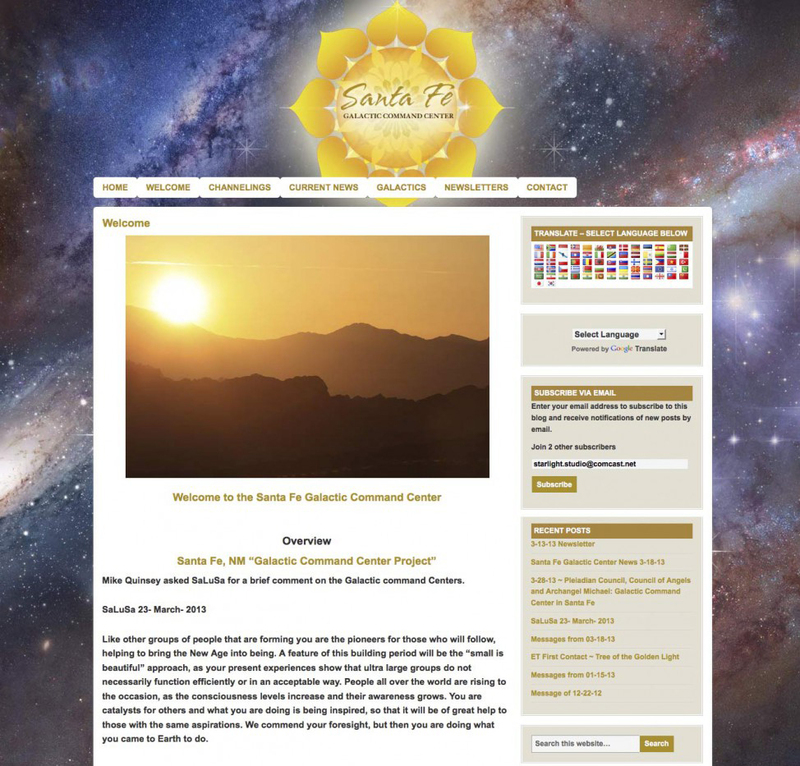 Santa Fe Galactic Command Center new website is live! The new site for the Santa Fe Galactic Command center just went live today. We are told that these galactic centers will be located all over planet earth. As many messages have told us mother earth, and those of us who will choose to, will be moving into the full 5D vibration with her. This planet will become a showcase for many star systems to send their representative here to see what we have done and learned in our 3D duality experience, and to share what they are doing and experiencing. All the channeled messages received thus far are available on the above URL. However below are a few excerpts from some of these messages to give a little insight as to what the galactics are saying about these centers. Click here to read more. If you are a lightworker in need of a website, contact The Golden Light Channel at info at thegoldenlightchannel.com for a free quote today.